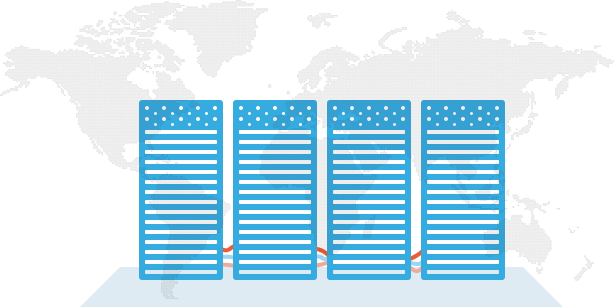 The VPS servers we provide are one of the fastest available on the internet. We use Fast Intel processors and our platform is fully equipped with SSD-drives. The SSD makes all VPS servers 10 times faster then original SATA or SAS-drives. We use Intel E5-2697 Core's for the best speed of your server. Total port speed of 40Gbit and software defined storage is what makes VPSServer.com so unique. Try out our I/O test and see many benchmark reports on the internet. Our goal is to have a datacenter in all continents for a fast VPS. This will lower the latency, depending on the needs of the customer you can choose the datacenter you want.